Home | INFINITY RECYCLING | INC. The next drop-off day is coming up soon! April 27th at Nicholson Drop Off Center in Kent County. Click here for more information. WELCOME to the Infinity Recycling, Inc. web site. We proudly serve Maryland’s Mid-shore region including the counties of Cecil, Kent, Queen Anne’s, Caroline, Talbot and Dorchester in Maryland and Middletown, Delaware. 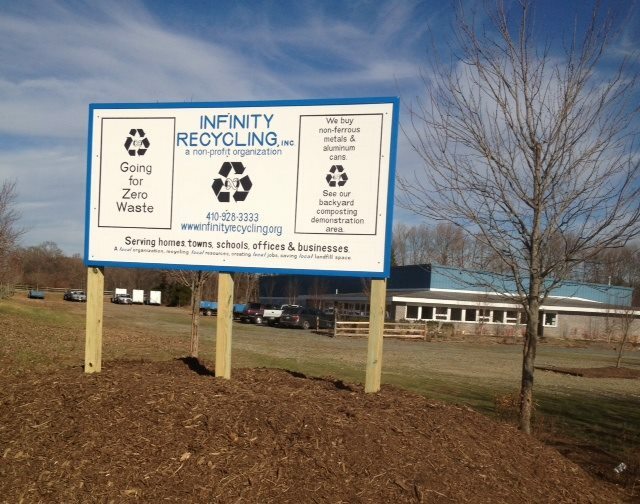 Infinity Recycling, Inc. is a local non-profit organization dedicated to providing quality services, education, research and jobs to our community. We are striving to bring wise resource management to our rural area by promoting the techniques of reusing, reducing, recycling, and composting to diminish our discards to practically zero.